(Ver 1.1) Today I am teaching another lesson on the highly controversial subject of “predestination” or “election” as it is also referred to many times. This is Part 4 of what should be a basic Bible study series concerning a very difficult and easily misunderstood Bible subject that is taken to extremes to place deception into the minds and lives of Christians. Satan does this to remove human “freewill” as being a factor for salvation. It further removes human responsibility to getting saved or staying saved. The extreme predestination philosophy allows an anything goes belief for acceptable human behavior without consequences of guilt or punishment. It removes the need for repentance, believing, learning, growing up spiritually and many other factors for a successful Christian life. If you have not read this series form the beginning I would strongly recommend that you go back and start with “Part 1” and then proceed forward to today’s Bible lesson. In doing this you will get a more complete understanding of the entire subject. In today’s lesson I will begin addressing more specifically two sets of Bible verses that are commonly used by extreme teachers to preach their erroneous doctrine of extreme “predestination”. I received a question from a friend and this will be an answer for everyone to read and benefit from. I was asked about Ephesians 1:3-11 and Romans 8:28-30 and I have to admit that reading these verses in isolation certainly gives us all the appearance of a valid “predestination” theology on the surface. But was this what God did? Did God predestine some to heaven and some to hell without any human participation or determination upon where they wanted to go? It might surprise you that I agree with a part of the “predestination” theology. The word “predestinate” is certainly a part of the Bible and this means we need to learn about it. Bible “Predestination” simply means a divine plan was put into place by the sovereign mind and will of God and God putting His plan into action has predetermined the outcome result. That is “predestination” in a very limited definition form. Predestination simply means a predetermined outcome was planned by God by placing severe limits upon the possible outcomes. That is what the word means and that is what God is bound to do but taking that definition and teaching what people do today is totally absurd. I completely agree that God had a plan in place for human salvation long before He did anything to create our world. This plan involved Jesus who was the Almighty God in the flesh coming to the earth as the sacrificial lamb (Rev 13:8). Therefore God predetermined before man even existed that He would come down to the earth in the form of sinful flesh (Rom 8:3) to die for the payment of our sins removing our penalty for them while we were all yet sinners (Romans 5:8). This is the part of the doctrine of “Predestination” that I believe in with my whole heart and I hope and pray that you do also. I also totally agree that God has omniscient foreknowledge of every event within human history and uses these events to put His plan into effect. However, the problem that arises very quickly is when people take these basic truths and stretch them into realms of beliefs that are not stated in the Bible. For example many people teach that God has predestined some to go to heaven and some to go to hell by His sovereign will and choice. That part of the doctrine of predestination represents a line in the sand that I refuse to cross because it violates God’s written word and makes Him to be a liar and my God is not a liar. I have already taught in three lessons about many things concerning why extreme predestination does not balance or conform to God’s entire precious Holy Word and we will be going into even more verses today because this is absolutely so important and vital for every Christian to understand. We should be able to clearly see at first glance that God has chosen us from the beginning. This is a basic predestination verse that teachers like to grab hold of to easily misunderstand the subject. However, this verse is another example of divine and human partnership working together to achieve our salvation. You see there are two direct things mentioned that God does in this verse and these are 1). God has chosen us to (for) salvation and God has done this 2). Through a process called sanctification. Then there are two direct things that we as Christians are said to do and these are 1). Give thanks to God for what He has done and 2). Believe the truth. The key word I want to focus upon is the Greek word G4102 translated as “belief” in this verse. This Greek word literally means to be persuaded of something. It can be translated as “believe” or “belief” or even “faith”. This is a word for humans not God. This Greek word represents what we do. It is a verb action of human response after hearing the Gospel (good news) of what God has done through Jesus Christ. We are required to have faith in order to please God according to Hebrew 11:6. Thus we are given one of the primary reasons for being chosen or selected by God is because of our faith. In other words if you don’t believe or have any faith you will not be selected. Do you understand this? People want to say it was only God’s sovereign choice and His right to choose some and reject others that caused us to be saved or lost but that is foolish thinking based upon poor human reasoning with no scriptural backing for that belief. No, the truth is that we determine whether we will be selected by our faith in Jesus Christ. It is so easy when you finally see it. I was asked specifically about Romans 8:28-30 and Ephesians 1:3-11. I’ll talk about Romans 8 first in this lesson but everything that is written could apply to Ephesians 1 also. There are at least three mistakes that Bible teachers take upon themselves with their wrong interpretations of these scriptures that cause error to go forth to be taught. First they ignore the context of the verses and that is taking phrases out of their setting to say what they think they want them to say instead of what they actually say. Second there is a common problem of seeing verses from the wrong scriptural point of view to make the verses again say what they want instead of what God actually said being balanced with all other verses on the subject of human FREEWILL. You see context is also much more than just the verses in the surrounding chapter. Context must also include the whole Bible and every scripture that is related to the subject directly or indirectly. God is one author of one book and people taking one statement without the rest will lead us to error. Third there is the problem that occurs when an assumption is drawn based upon no direct facts being given. We must not make assumptions if God does not give us two or three witnesses to our belief. Let’s go over a quick overview of good interpretation and understanding principles. We need to first learn to read and study the context of the verse within the chapter, the book, and the entire Bible in order to understand any single statement better and more clearly. Next then we need to read the Bible using the correct perspective. Many times we should consider what is written from God’s viewpoint since He is the admitted author of the text. God’s viewpoint is normally from a very spiritual perspective because He is a Spirit. God’s spiritual viewpoint is superior and normally conflicts with the human natural viewpoint (Romans 8:7). We learn this principle from several Bible selections including Romans 8 that we are currently studying but consider another reference found in 1 Samuel 16:7 when God spoke to the prophet and told him not to look on the outward appearance of the man (flesh) because God looks upon his heart (spirit). Wow, that is an awesome bit of knowledge to learn from and apply in our lives and study today. Now consider the fact that there are other possible verses in the Bible that are directly related to the subject of “predestination”. These verses must also be considered contextual information that should be weighed together. Wouldn’t any or all of these other verses possibly have an impact in determining how we need to believe in the whole subject of predestination? I believe they do. Finally after reading and studying the whole subject we should be able to gather together all the known facts and use these to drive our belief process after we have felt confident that we understand the verses adequately enough to do so. Finally, as part of the drawing conclusions process we must never conclude anything unless we have 2 to 3 factual Bible witnesses of the conclusion from the Bible and I’m going to talk about this next. For example NOWHERE in the Bible does it say that God predestined men to go to hell and that is a very wrong assumption and belief that many people have created in their minds and have bought into it like it was the truth because they think they were “selected” to go to heaven and therefore nothing they ever did effected them to get saved or nothing they will ever do can or will ever change their status of salvation. What a lie of the devil. If that was actually true then a lot of the N.T. is not necessary. In fact we can take that further and say the Bible as a whole is unnecessary for salvation. No one would need to preach the gospel, no one would need to believe the Gospel, and no one would need to go to church, no one needs to read the Bible and no one would even need to pray because God’s will would always be done regardless of what we do or say or pray. Also there would be no need for there to be any BIBLE commandments from God or instructions or warnings in the Bible for us to not be deceived or to depart from the Lord (Heb 3:12, 1 Tim 4:16, Gal 5:15, 1 Cor 10:12, 1 Cor 15:33, Gal 6:7, Luk 21:8, …. and others). Ok “intercession is mentioned twice and “prayer” is directly mentioned in verse 26. The key to knowing this is not just any kind of prayer is the fact that God is helping us to pray it. Therefore this is a supernatural prayer language because man can only pray a natural type of prayer language without God’s help. Do you understand this? God gives us the ability to pray supernaturally by helping us with the words to speak that cannot be normally uttered with natural human reasoning as He has stated in verse 26. In the Greek language this word means these words cannot be understood r spoken with the normal human articulate speech process. When we pray in the Spirit, God gives us the words and these are usually words not understood by people but rather they are heard by God and known by God for our benefit and this is why God says in verse 28 that He will cause all things to work together for our good. God does this primarily so that Satan does not know what is being prayed and can make an effort to stop it from coming to pass. This verse begins with “Whom He did predestinate”. Ok, this is pretty compelling if you only read it in isolation that God selected some and therefore must have rejected others by assumed indirection even though it does not say that directly. It is clear that God did select those that this verse was written to in the church but again nowhere does it say that God rejected those that were not in the church. I MEAN NO WHERE! Also there is a Greek word found here that needs our further attention. This Greek word is G2564 and it was translated as “called” twice in this verse. This Greek word means to “bid” or to “call” someone. What exactly does that mean? Let’s say we go outside our house on the back porch and don’t see our dog. We could “call” the dog and see if he will come to us by yelling his name. 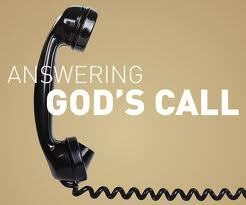 The “call” would be an invitation to come and that is exactly what this verse is saying to us. God has invited us to come. What would make the dog not interested in coming to us when we called? It could be the fact that they are occupied with something they value more like a big bone that they are chewing on. Whatever the reason for not coming the dog has the choice of freewill to come or not to come and this is what we must realize is joined within the context of the subject of God “predestining” us. This is where we need to look afresh at this verse from the God spiritual perspective and weigh the context of the rest of the Bible also. I’ll do this with an introduction to a new way to think about predestination. I’ll stop here and make some quick important points. The King in this parable is a representation of God. The Son in this parable is a symbolic representation of the Jesus Christ. The marriage in this parable is a symbolic representation for the New Covenant. His servants in this parable were His prophets and they called to the wedding the children of natural Israel but they would not come to the wedding by an act of their own stupid choice. The Greek word translated as “call” in verse 3 of Matthew 22 is the exact same Greek word found in Romans 8:30 making a direct divine connection to the same subject being spoken of by God. Does this not have anything to do directly with selection or God’s predestination process? Didn’t God call them all to come? Didn’t God desire them to come? Wasn’t it the will of God for them to come? I mean come on and think. God selected them and invited them to come but THEY WOULD NOT. Get it? This is really not rocket science and it is right there in front of our faces. Are we going to believe God or are we going to believe the traditional errors of man? So God goes forth into the rest of the Gentile world with more prophets and teachers inviting them all to come to the wedding and guess what I came by own freewill choice to believe and now because of my choices I have been selected. Also because I am now selected I now go into the world and preach the Gospel to others so they can also be selected by an act of their own freewill choice and faith in Jesus Christ. Wow this is how God designed it to work. We either believe and are saved or we don’t believe and we are damned by our own freewill choices (Mk 16:16). In this parable there are only two types of people mentioned that are rejected from being at the wedding and these were the one man without a wedding garment and those that chose not to even attend. However, this one man without a wedding garment also represents the man’s own foolish choice to try to come to the wedding without being properly clothed. This verse was symbolically talking about people who call themselves Christians but have not “PUT ON CHRIST” (Gal 3:27). This parable is all symbolism but this story gives us natural realities that apply directly to predestination and election. I hope that everyone can read this over carefully and see the truths beings presented. This is exactly what I have been attempting to teach about salvation, election and predestination. 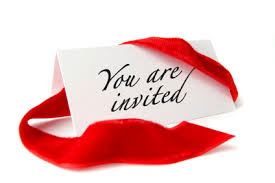 Everyone is invited but only those that choose to show up to the wedding properly attired get to stay in the party to be called the select or elect ones and all others are left outside trying to get in. Remember the parable of the 10 virgins? This is the exact same reality. All 10 were invited but only 5 were prepared and entered in and the others were left out because of their lack of preparedness. Wow, this teaches us plainly that human FREEWILLL choices have a great determination to who is “selected”. We can choose to not attend the wedding or we can even choose not to dress for the wedding and both of these will cause us to NOT be selected. I don’t know how to teach it more clearly. Here is an additional confirmation that God had a divine plan from the foundation of the world. But, back up and see who it is that has been determined to enter in. Believing is stated to be the determining factor for entering into God’s rest. Those that have not believed do not enter in and those that believe do enter in. The entrance door is God’s Word and believing in God’s word gives us entrance. I am trying to teach a difficult subject called election or predestination but not the way it is normally taught by many confused people. Becoming God’s elect is based upon a partnership between God’s divine grace and human faith. God is not a respecter of persons as we should know by now but God is most definitely a respecter of faith. The basis of what is taught by many predestination teachers would make God a respecter of persons by selecting some and rejecting others. This would make the Bible a lie and that is a conflicting problem with their philosophy. The only way to balance and resolve the conflict correctly is to understand that any good gift given to men by God is received by their faith. Any good thing ever given to men, done to men or done for men is only received or we could say entered into by individual freewill human faith. This is the way that God designed it to work. Hebrews 4:3 is just further evidence that proves faith is a necessary part of the plan of God established from the foundation of the world. Read it again and again until you get it and accept it into your heart. Write a big sign and put it up on your wall and it should say “We who believe do enter in….”. What God is plainly saying is that everyone is invited to believe but only those that choose to do it are selected. God has predestined everyone to salvation but only those that have chosen to dress and come into the wedding will be selected and those that do not believe, or have not prepared themselves or have other more important things to do will be shut out when the door closes. That is the truth of God, believe it or not. Thank you again for reading and studying the Bible with me. I appreciate your time and diligence to read and verify what is written in these lessons. Do not ever buy into a teacher’s words without your own personal verification. Allow the Spirit of God to minister and lead you into all truth. Be blessed and be a blessing to all that you meet every day. I’ll try to do another lesson on Ephesians 1 soon. I hope these word help you to better understand the Bible and your role in being selected.